The use of composites in avaiation is increasing. Figure 1: The electromagnetic spectrum (centre) showing visible light (top), and infrared (bottom) bands. 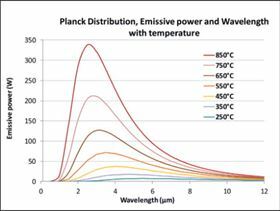 Figure 2: Planck distribution showing the spectral emission plots from different emitter temperatures. 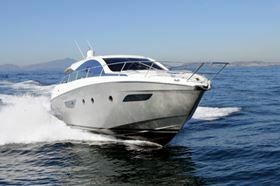 Composites are widely employed in the marine industry. The use of composites in aviation and high end automotive fields continues to grow. For example, the Boeing 787 contains over 50% advanced composites. Along with growing use and higher profile, there is a push on for the deployment of rapid manufacturing techniques to integrate composites into mainstream manufacturing and away from the realm of the high-end, high-cost, specialist applications. For example, the BMW i3 urban vehicle will feature a high volume production passenger cell made entirely from carbon fibre reinforced plastic (CFRP). BMW states this is a first for a high volume vehicle. Of critical importance in this switch to high volume production are the processing methods. This is where the advantages of smart infrared (IR) heating can become a key processing aid to the composites producer. 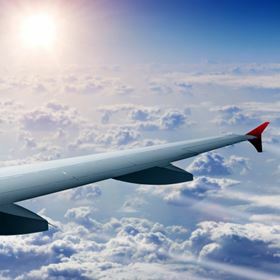 Traditional curing methods have relied heavily on the autoclave, especially for high quality or safety critical items such as aircraft wings. Inside the autoclave, high pressures are utilised to produce components free of voids or defects, and convective heating generally provides the thermal energy requirement for curing. However, the autoclave can be large, expensive to purchase and run. Cycle times are also high. With an interest in moving away from large costly autoclaves, more composite processes are being re-examined for completion ‘out of autoclave’ (OOA). As these methods are not in an enclosed chamber, conductive and convective methods of heat transfer are less suitable, and other forms of heating must be investigated. This is where the quick and directable advantages of IR heating comes into its own - smaller, lighter, controllable, cost effective, and also targeted on the precise area. Infrared is a form of electromagnetic wave or radiation which lies just between visible light and microwaves/radio waves. On 11 February 1800, the existence of infrared was discovered by William Herschel. Infrared or thermal radiation is emitted from any surface whose temperature is greater than absolute zero (-273.15°C or 0K). As the emitter temperature rises (in this case an emitter may be a ceramic heating element) the thermal energy excites the atoms and molecules within the heater resulting in the emission of photons. These photons are emitted from the surface of the heater in the form of infrared radiation. When these photons strike a material, molecular oscillations or vibrations are again set up thus causing the heating effect within the target material. Infrared radiation behaves similarly to light and other electromagnetic waves therefore as the frequency increases the wavelength decreases, while the energy increases. Like light, infrared does not require a medium, thus can be transmitted through a vacuum. Some materials absorb infrared radiation well and heat up quickly, while other materials tend to reflect much of the radiation and thus remain relatively cool. In practice, a property called emissivity is a good guide as to whether a material will absorb or reflect infrared radiation. An ideal ‘black body’ has an emissivity of 1, therefore materials with high values of emissivity (0.9-0.98) will absorb radiation and heat up quickly, while low values (0.02-0.1) are good reflectors and take longer to heat up. Many polymeric materials readily absorb infrared radiation which is converted to heat rapidly within the material. Conversely, many metals especially when highly polished, absorb little radiation and are commonly used as reflectors. As the emitter temperature rises, the wavelength of the emitted radiation decreases moving toward the short wave region closer to the visible light end of the spectrum. This explains why an object gets brighter with temperature. Moreover, with this temperature increase, the amount of radiant energy emitted also increases to the fourth power of the emitter temperature. This can be explained by Planck’s law and is seen in Figure 2. For infrared heating, the commonly accepted wavelength bands are from 0.7μm to 1mm, however most infrared for industrial heating purposes occur within the range of 0.7-10μm. This is often subdivided further into three groups, short wave IR, medium wave IR and long wave IR. Shortwave IR is generally in the bands from 0.7-1.5μm. A significant portion of this radiation will be bright light due to its proximity to the visible light spectrum. These heaters typically comprise a tungsten filament in a sealed glass tube filled with halogen gas. This allows the supported filament to reach temperatures as high as 2600°C (4712°F). The peak wavelength emitted is approximately 1 micron. This type of radiation is high energy and will result in fast heat up times. They are extremely penetrative and allow rapid on/off cycles. Medium wave IR lies in the 1.5-3μm wavebands. A typical medium wave heater may contain a tungsten filament in a porcupine wound or star type coil, which can be operated at temperatures up to 1500°C (2732°F), with peak wavelength emissions of approximately 1.6 microns. These reach top temperatures within seconds and have excellent structural rigidity. The coil is designed to minimise light output and maximise IR emission thereby increasing IR radiant efficiency. Long wave IR lies in the 3.0-10μm range. These can be ceramic heaters or quartz heaters. The ceramic heater comprises a coil of resistance wire placed within a clay casting which is then fired. A range of sizes and wattages determine the waveband of the infrared energy emitted, typically in the range of 2.0-10µm. Although warm up times are longer than for tungsten type heaters, the elements are more robust and cheaper. Another type of long wave emitter is the quartz element featuring a resistance coil wound within quartz glass tubes. These have medium warm up times, and the useful emissive output is around 1.5-8 µm. Many polymeric materials absorb well in these wavebands. Reflectors are another important element as they help focus the radiant energy to the target material. These are frequently made from aluminised steel and are highly polished. When selecting an infrared emitter it is important to match the spectral absorption of the target material with the emitter. Many polymers absorb well in the mid to long wave regions. Although shortwave infrared heaters have the fastest heat up times, their high power density could lead to burning of the material surface. A lower power heater such as a ceramic or quartz heater may provide a more gentle heat thus allowing time for heat to penetrate the material to effect a thorough cure. The nature of the process also needs to be taken into account, whether it is a continuous or discrete process. Impurities such as dust or vapour can also hinder the absorption of infrared by the target material and provision may need to be made for its extraction or removal. The most basic control elements of infrared radiation are distance, power and time. A variable transformer can adjust voltage to the heater so as to vary the power. As radiative intensity drops with distance from the heater, the variables of distance from the heater as well as time exposed are used to control heating to the target material. However as this is an open loop system the possibility of either under cure or burning exists. A more preferable method is to incorporate non-contact thermometers to measure surface temperature and provide feedback to a controller unit which then regulates power to the heating elements. Depending on the complexity and size of the target component, several heating zones with individual temperature sensing and control can be used. Thus, when designing an infrared heating system, the properties of the target ­material, the heater type, the operating environment and many other factors must all be considered before final element choice is made. This article was published in the March/April 2014 issue of Reinforced Plastics magazine. A new cloaking material made from silicon nanowires can absorb approximately 94% of the infrared light it encounters.